If you are in the Livonia area and are in the process of searching for a limo bus, then rest assured that your search is now over. By simply getting in touch with us, it means you will be able to provide your guests with an amazing time no matter how many of you plan to be there. After all, it will always be our aim to give you that opportunity to just kick back, relax, and enjoy the experience. Upon entering our limo bus, you will all be amazed at the kind of atmosphere that is capable of being generated on board. Not only that but the space that is available thanks to the layout and general design does mean that we can have more guests than normal with everyone having the opportunity to just experience a touch of luxury. First, you will notice that the seats we have used are extremely comfortable, and they are the perfect solution for you to just kick back and enjoy the overall experience with your guests. However, that is only the start of it as we are also making certain that the general feeling that everyone encounters on board is absolutely second to none. We simply do not want this to be a boring experience because that, for us, is going to be a complete waste of time. With music flowing through our stunning stereo system, to you being able to pick and choose your own music, or leave it up to us, there is no doubt that this is just going to add an extra something to our time spent on our limo bus. We also take absolute pride in the appearance of our limo bus as we believe that it reflects better on our company in general. That means everything is cleaned and there will be no issues that you can possibly encounter whenever you step on board our bus. After all, why would we offer a first class service only for our bus to then let us down? After initially getting in touch, we will spend time chatting with you about the route that you wish to take and when you are going to actually require our services. We will always strive to do our best to work alongside you in order to cater for your needs no matter what they may be, so simply tell us what it is that you are looking for, and we will see what we can do. So, if you are currently in the process of searching for a limo bus and you are in the Livonia area, then you can stop searching immediately. Just give us a call, and tell us what you are looking for, and we can then take your booking from there. 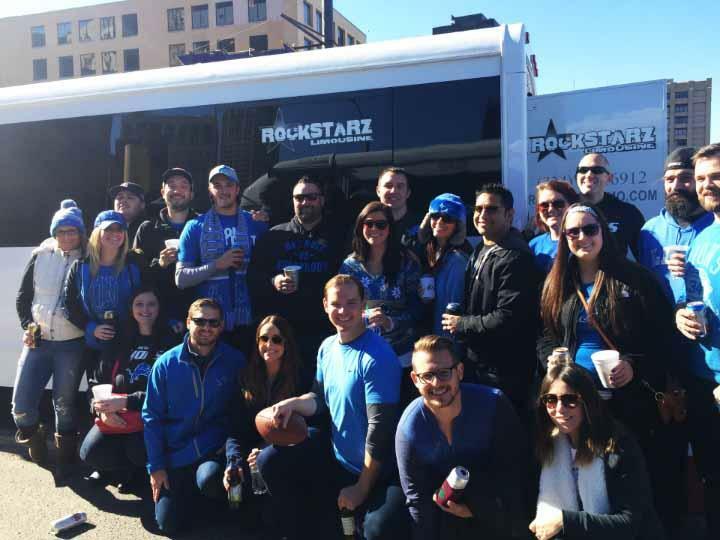 We can assure you that you and your guests will have an amazing time in our company, and our limo bus will be able to help you all to generate your own individual memories of a wonderful time spent in our company.